When talking about Moreton Island, the iconic image of the azure waters surrounding the Tangalooma Wrecks always comes to mind. 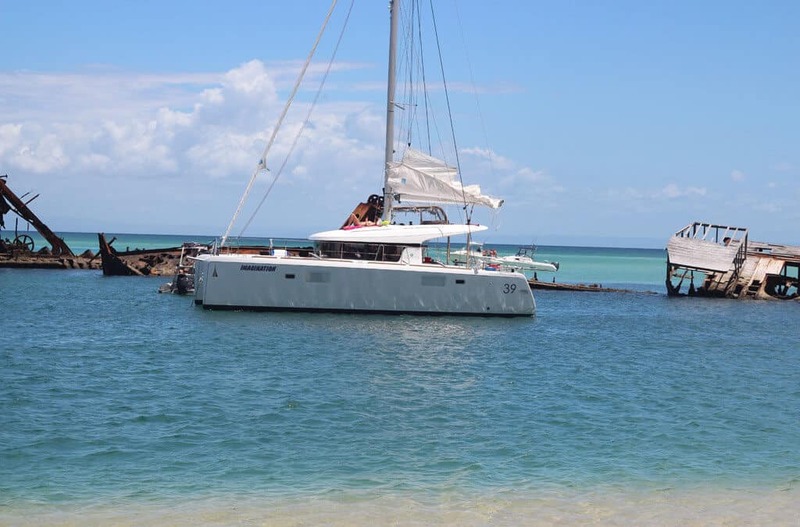 With crystal clear waters, spectacular beaches, the wrecks and a nearby resort, it is easy to see why Tangalooma is a regular destination for yachts in the Yachtshare fleet. 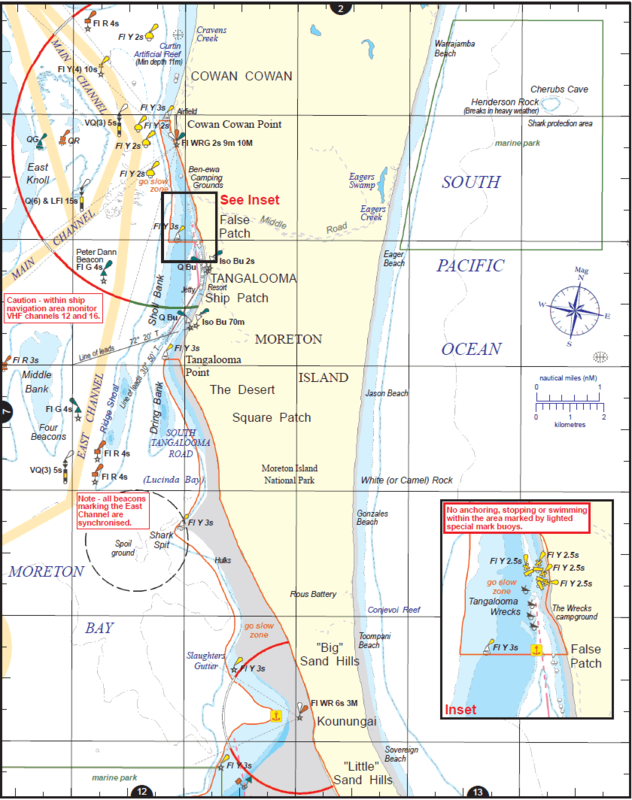 Access to the anchorage is from the western side of Moreton Island. Heading out from the leads at Manly Habour, the most direct routes are passing between Green and St Helena Islands or through the more southerly channel between Green and King Islands via the Lockyer Light. Sailing three hours in a north easterly direction will find you at the wrecks on the western side of Moreton Island. Caution needs to taken when crossing the east channel as cargo vessels and tankers are often in the area. The anchorage can be accessed via the south or north of the wrecks. Strong tidal flows are common and it is important to let out plenty of chain and keeping a safe distance from other vessels. Moorings are also available for rent by contacting the Tangalooma Island Resort. Tangalooma is not recommended during westerly winds as the wrecks offer minimal protection and in severe conditions will become a surf beach. In 1963, 15 ships were scuttled after lobbying by local boat owners to create a breakwall. The wrecks offer an excellent snorkelling zone with an abundance of fish and sealife living amongst them. The sandy beaches and clear waters of the area are popular with swimmers. The nearby Tangalooma Island Resort can be visited by applying for a free casual day pass 24 hours in advance. 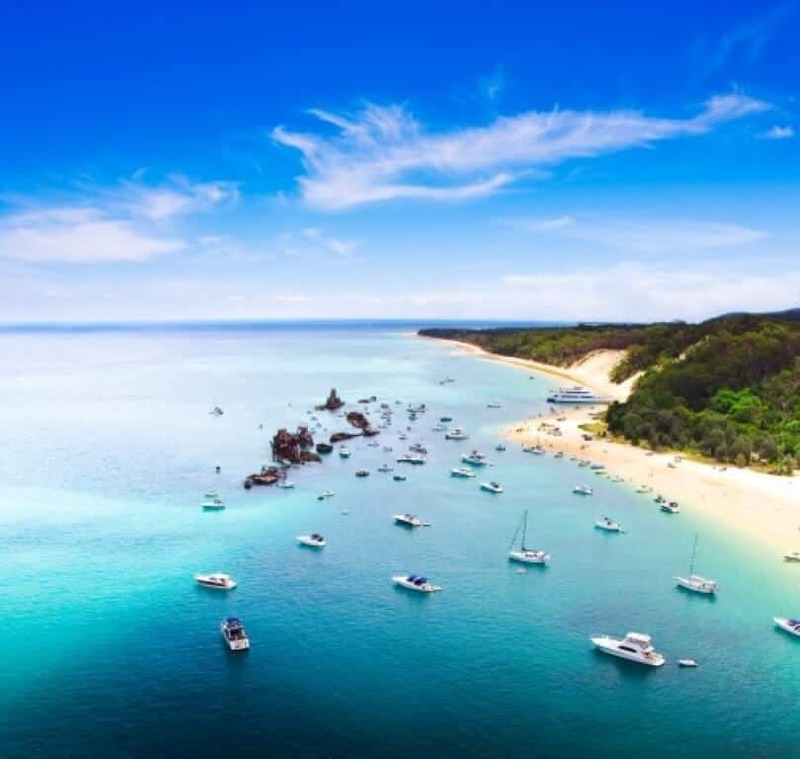 Tangalooma is one of the most iconic and picturesque anchorages in Moreton Bay and is well worth a visit. Have any questions or comments about this anchorage? Add a comment or contact Yachtshare for more information.